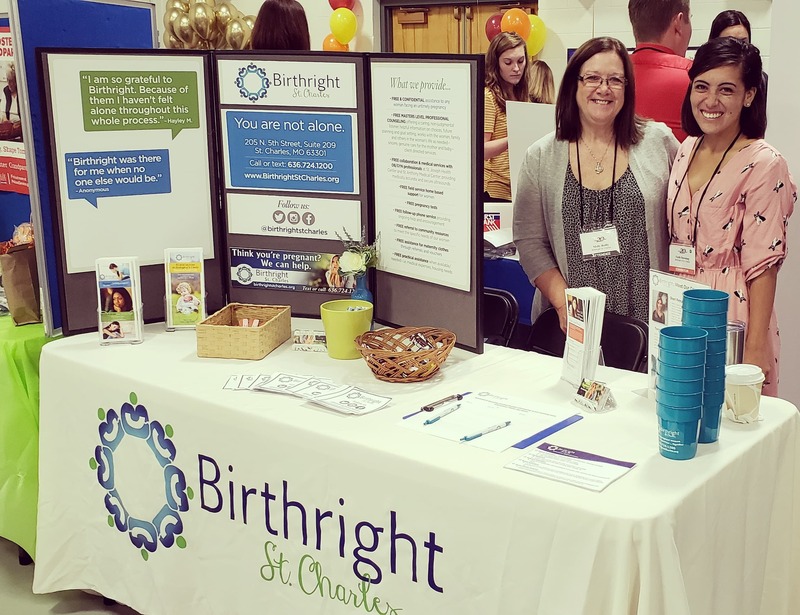 This was Birthright’s 5th year tabling in the Summit’s Exhibitor Hall alongside numerous other health and human service agencies. One of the greatest gifts of taking part in the Summit is having the opportunity to connect with such a large number of community resources in order to best educate our staff and volunteers on what additional assistance is available to our clients, should they need it. In the Spirit of the Summit, we wanted to take a moment to recognize a few of our very own community partners, to share our gratitude for the times they have served our clients lovingly and to bring attention to their presence in our community. Mary Queen of Angels is an organization located in O’Fallon, Missouri that provides practical supply assistance to mothers in need. They provide everything from maternity and child clothing to formula and diapers from pregnancy all the way to a child’s second birthday. Their work and the resource they provide help to ensure the health of both mother and baby before and after birth. Their Teen Parent Program offers an array of resources “to meet the unique needs of pregnant and parenting teens” including education, counseling and case management. The Crisis Nursery is truly a safe haven for families in our community, from providing short term care for children and crisis resolution to offering ongoing support and advocacy for families. Their services allow parents to take a preemptive role in preventing child abuse and neglect when faced with crisis. Our Lady’s Inn offers pregnant mothers facing homelessness the opportunity to reside in a loving home as well as additional services to help them plan and achieve specific goals. Their staff includes a registered nurse and clinical therapist able to provide on-site, professional care. Perhaps the greatest blessing of being part of a network of upstanding human service providers is knowing that quality care exists for our clients in their areas of need that stretch beyond the scope of our services. We have seen firsthand the beauty that comes from agencies being willing to work together to meet needs and fill gaps and we are proud to be part of a community that is striving each day to better meet the needs of those within it. Want To Help Our Mission At Birthright?